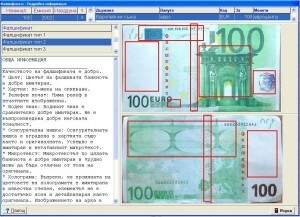 Comparison of original and counterfeit features with detail description. 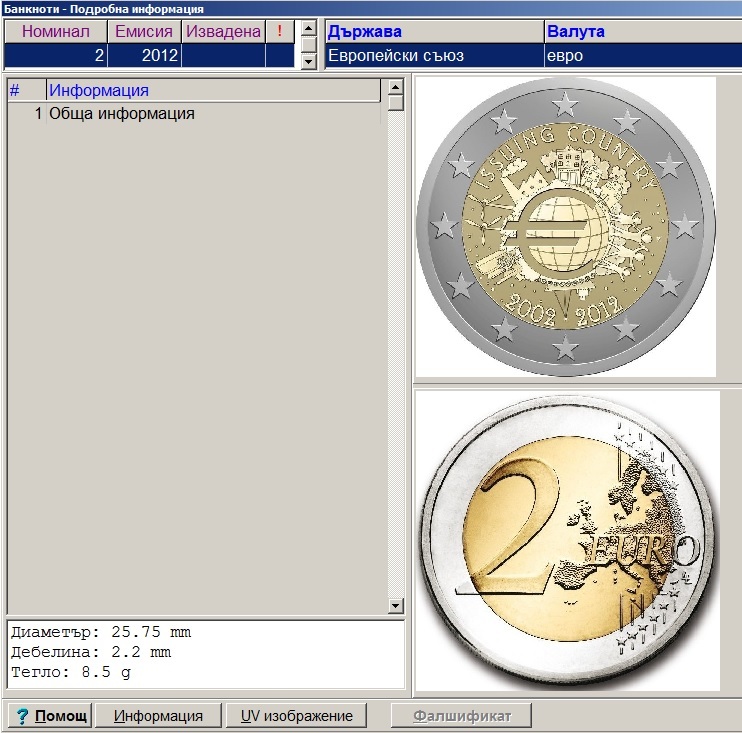 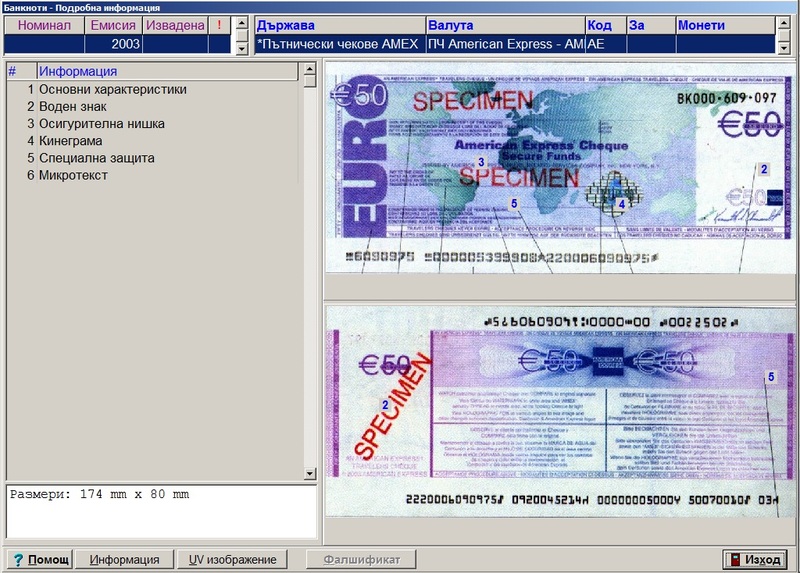 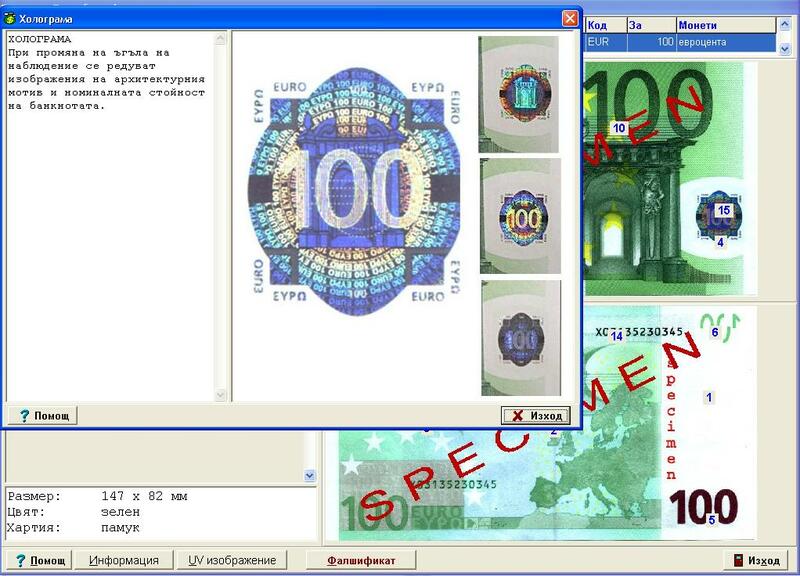 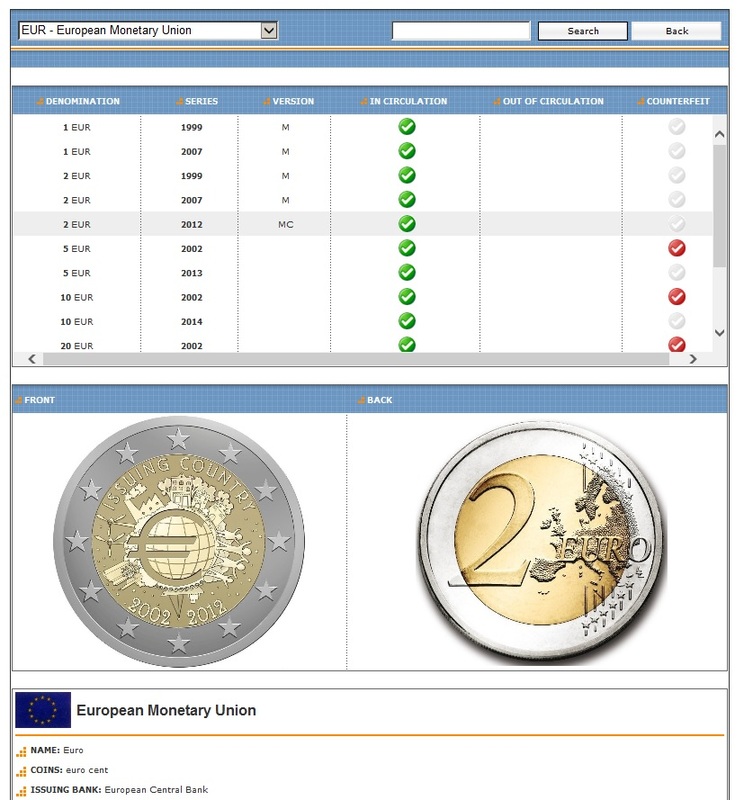 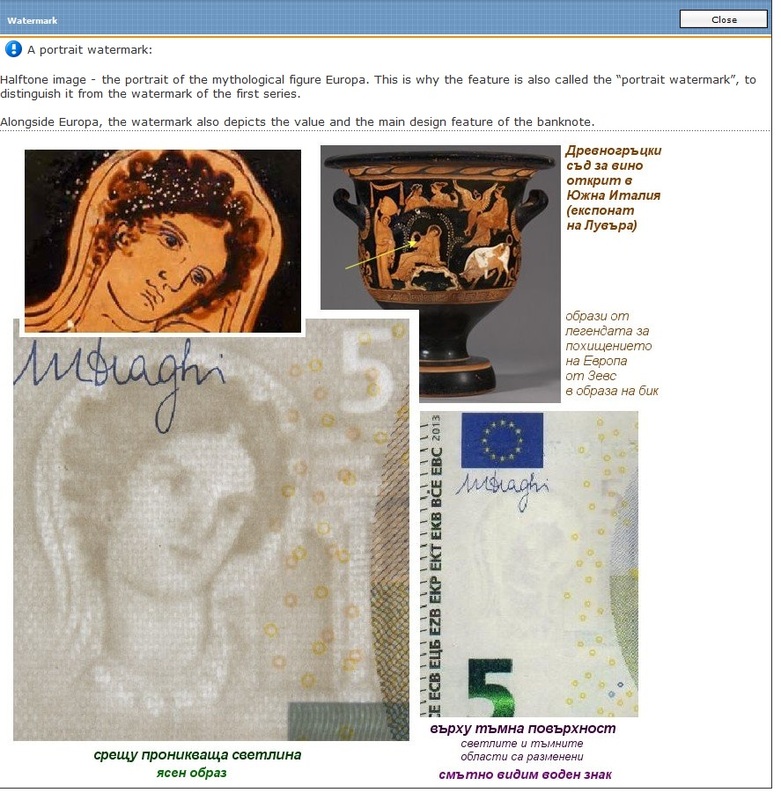 Currencies included in the catalogue: Australia (AUD), Albania (ALL), Belarus (BYB), Bosnia and Herzegovina (BAM), Brazil (BRL), Bulgaria (BGL), Britain (GBP), Denmark (DKK), European Union (EUR), Egypt (EGP), Estonia (EEK), Israel (ISL), India (INR), Iceland (ISK), Canada (CAD), China (CNY), Cuba (CUP), Lithuania (LTL), Macedonia (MKD), Moldova (MDL), New Zealand (NZD), Norway (NOK), UAE (AED), Poland (PLN), Portugal (PTE), Romania (ROL), Russia (RUB), the U.S. (USD), Northern Ireland (GBP), Singapore (SGD), Slovakia (SKK), Serbia and Montenegro (YUM), Turkey (TRL), Ukraine (UAH), Hungary (HUF), Hong Kong (HKD), Croatia (HRK), Czech Republic (CZK), Switzerland (CHF), Sweden (SEK), Scotland (SSP), South Africa (ZAR), Japan (JPY) and others. 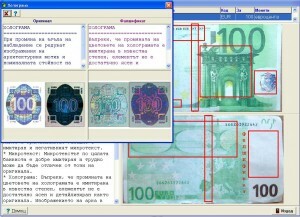 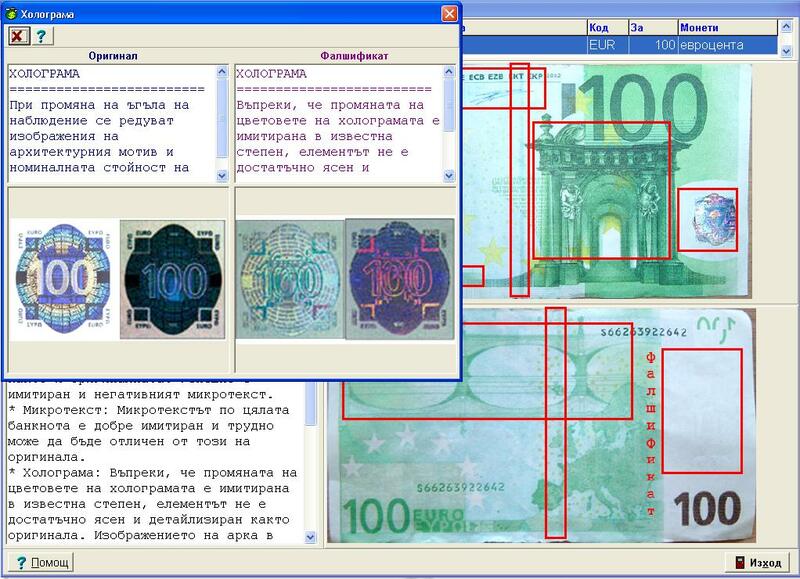 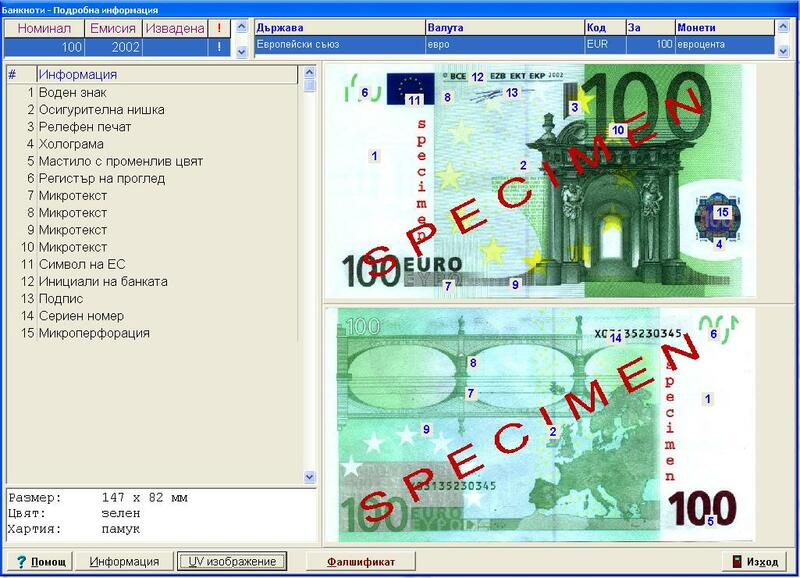 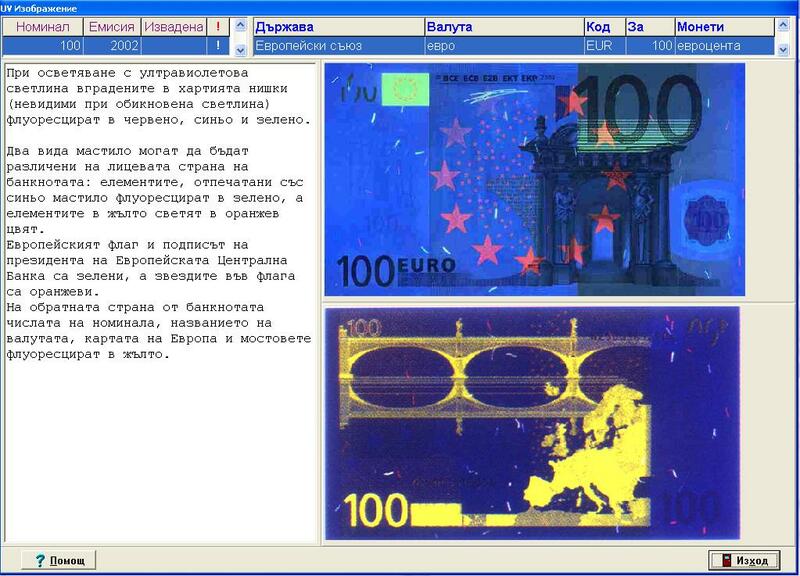 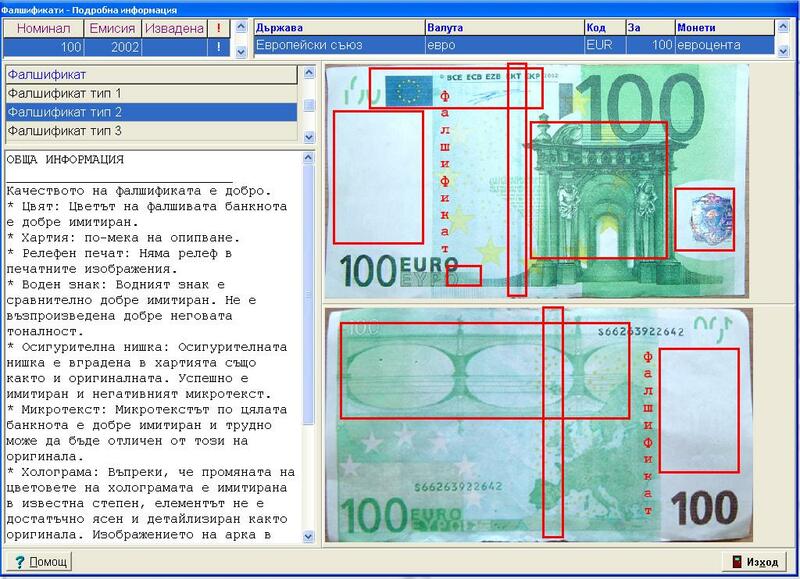 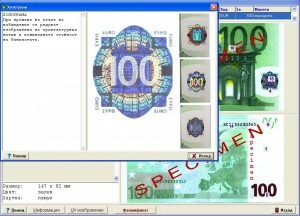 The most important advantage of the product is the timely updating of the information for banknotes and their counterfeits. 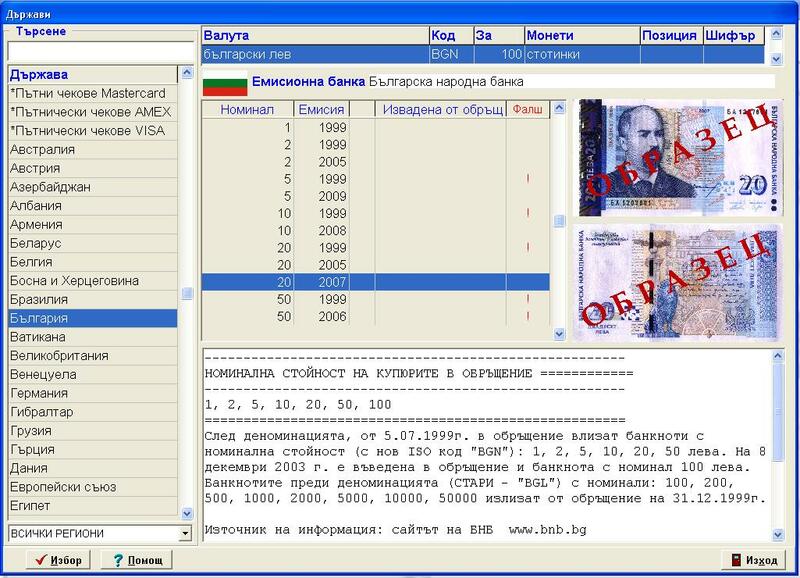 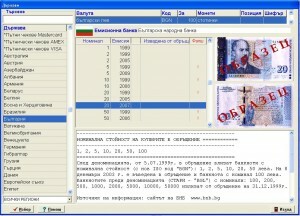 The clients of our catalogue are many bank branches and offices in Bulgaria.